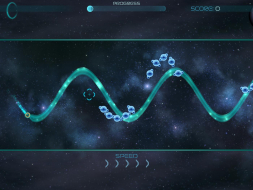 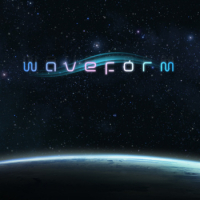 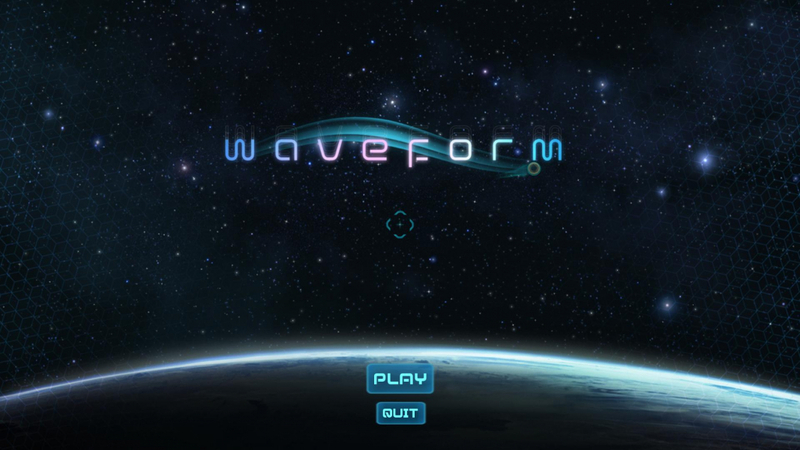 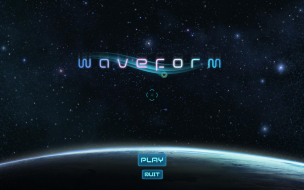 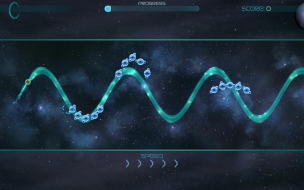 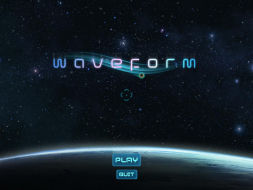 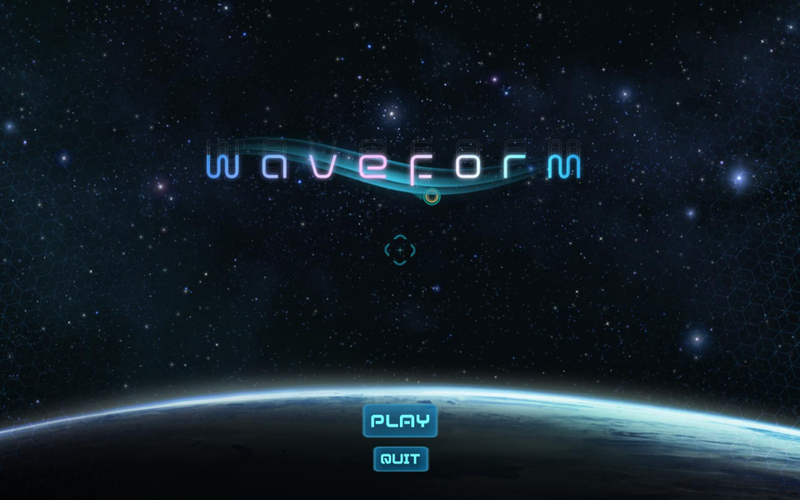 Waveform is a action, puzzle game created by indie developer Eden Industries. You control a wave of light as it transmits through space and you’re able to modify the wave’s amplitude and wavelength to line it up with objectives, avoid obstacles, and interact with a slew of objects that affect the path of your wave, and the world around you, in interesting ways. 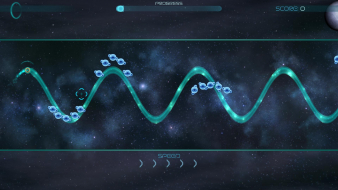 HUD is spanned but does not affect gameplay. The focus of the game is on the far left hand edge, which means most of the action is on the far left hand side of the left hand monitor. Not ideal.